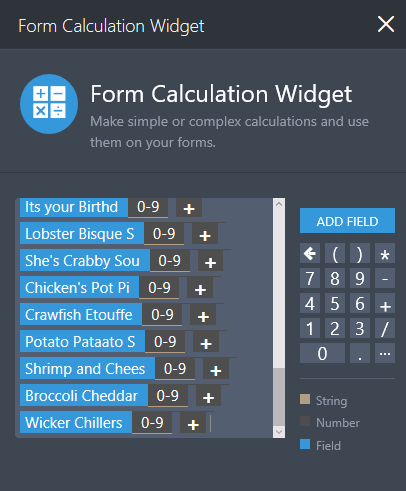 Its because in your form calculation widget there is a trailing + symbol. You need to delete it and save it. If that doesn't work delete the + and the chillis. Than add the chillis again and save.